The American Health Council has warmly welcomed Dr. Danielle Doucet, MD as “Best in Medicine” in recognition of her extensive contributions to the healthcare industry over the past 13 years. Dr. Doucet specialises vascular surgery, whilst also working as an Assistant Professor of Surgery. 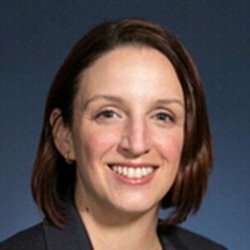 Dr. Danielle Doucet began her medical studies at the SUNY Downstate Brooklyn, graduating with her MD in 2004. Following on from this, she completed her residency at the University of Medicine and Dentistry of New Jersey and her Vascular Surgery fellowship at the University of Pittsburgh Medical Center. In addition, Dr. Doucet is Board Certified in Vascular Surgery. Dr. Doucet has fulfilled her current role for 5 years as Assistant Professor at the University Massachusetts Medical School and also has working affiliations to UMass Memorial Medical Center as well as Milford Regional Medical Center. Committed to the improvement of the health of the community, UMass Memorial Health Care provides the best healthcare through clinical care, service, teaching and research. UMMHC is dedicated to patient centered care, and becoming the best academic health system in America factoring issues such as quality healthcare, cost, patient satisfaction and patient safety. UMMHC has a total of two hospitals in central Massachusetts. Each location is equipped with the latest technological advances and provides access to many resources to each patient. Services available at UMMHC include: Orthopedics, cancer, diabetes, surgery, newborn intensive care, children’s services, Women’s services, emergency medicine and much more. Dr. Doucet first became involved in her current profession because the field of vascular surgery appealed to her, offering a combination surgical expertise as well as the long term care of her patients similar to that of primary care. Displaying extensive expertise in vascular surgery, medicine, aortic surgery, carotid interventions, and both open and endovascular interventions for lower extremity ischemia. In addition, Dr. Doucet’s daily responsibilities include duties as the Medical Director of the UMASS Vein center, teaching students and residents as well as clinical work. In recognition of Dr. Doucet’s many professional accolades, she attributes her success to truly loving what she does. She is proud of her several peer-reviewed publications, for which topics include endovascular repair, leadership, vascular surgery procedure coding, perioperative risk, and intensive vascular surgical skills. Striving to continually broaden her knowledge, enabling her to provide the best care and education, Dr. Doucet is a member of the Society for Clinical Vascular Surgery and Society for Vascular Surgery. In the future, Dr. Doucet aspires to continue contributing to the field of medicine and further advance her studies, allowing her to transition into a different academic role. In her time away from work, Dr. Doucet enjoys cooking, surfing and snowboarding. She also contributes her time and expertise through the role of Director for a National Simulation Course for residents. UMMHC is dedicated to patient centered care, and becoming the best academic health system in America factoring issues such as quality healthcare, cost, patient satisfaction and patient safety. UMMHC has a total of four hospitals spanning over the state of Massachusetts. Each location is equipped with the latest technological advances and provides access to many resources to each patient. Mark B. Woodland, MD, MS Lorie Thompson, D.O.